Yes it’s Saturday so I couldn’t very well call this iPhone Friday so consider this a special edition. 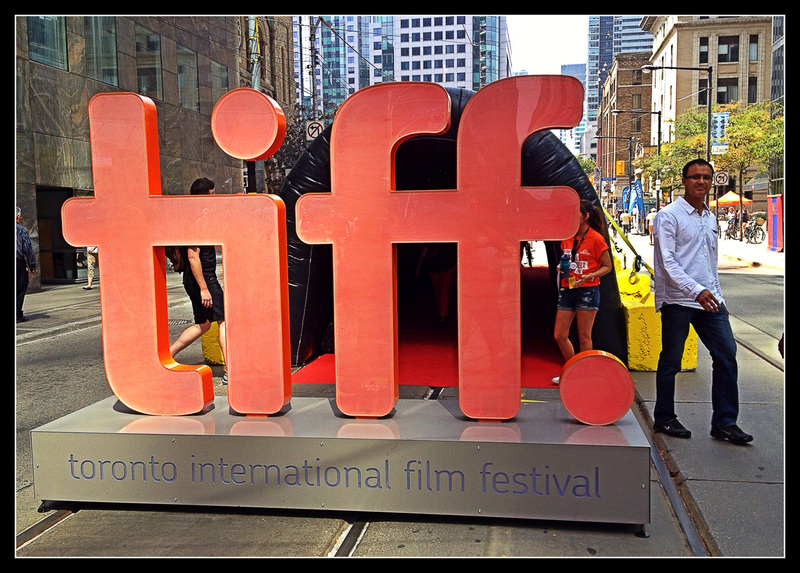 This past Thursday was opening night of the Toronto International Film Festival (TIFF). 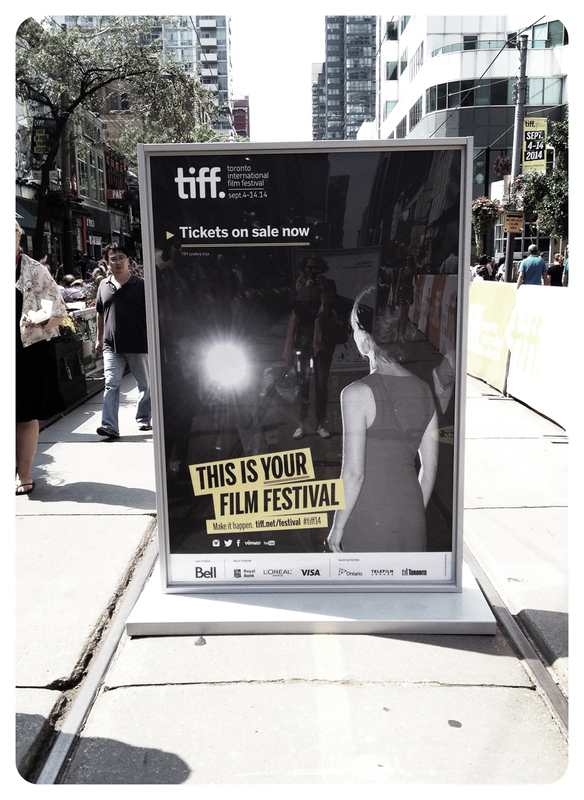 TIFF was founded in 1976 but has grown to be the most influential film festival. 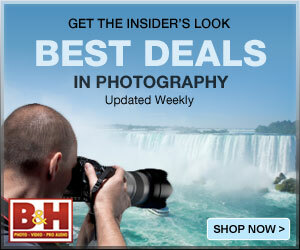 Every September Toronto is host to world renowned celebrities and movie makers. 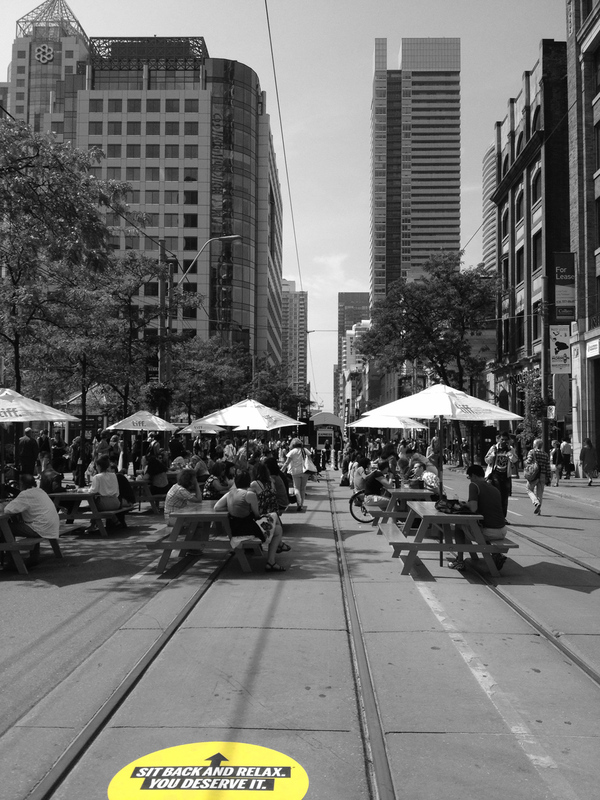 This year the city has closed down King Street, home of the TIFF Bell Lightbox building and where many of the venues are located, and has turned into a pedestrian walkway. I work about a five minute walk from the epicentre of activities and yesterday at lunch time, armed with my iPhone, a friend and I ventured out to explore. I’m heading back out this evening but wanted to share with you a few of my shots. Not Quite Red Carpet Ready! This entry was posted on September 6, 2014 by edithlevyphotography. It was filed under Around Toronto, iPhoneography and was tagged with 2014, iPhone, iPhoneography, King Street, street photography, TIFF, Toronto International Film Festival. 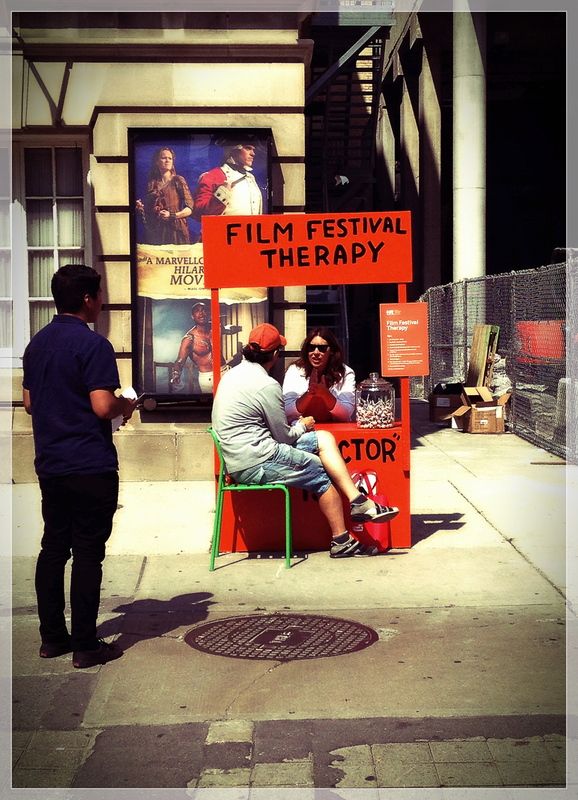 Love the film festival therapy booth! I’m sure there’s a queue of indie film makers philosophizing about their works! I know I loved that too. And I was actually wondering who was sitting there. Now that’s an inspirational event to fill your imagination with sparks. Oh it is fun. You should really come. Fun set of shots, Edith. I hope to get to the TIFF someday. Sounds fabulous. 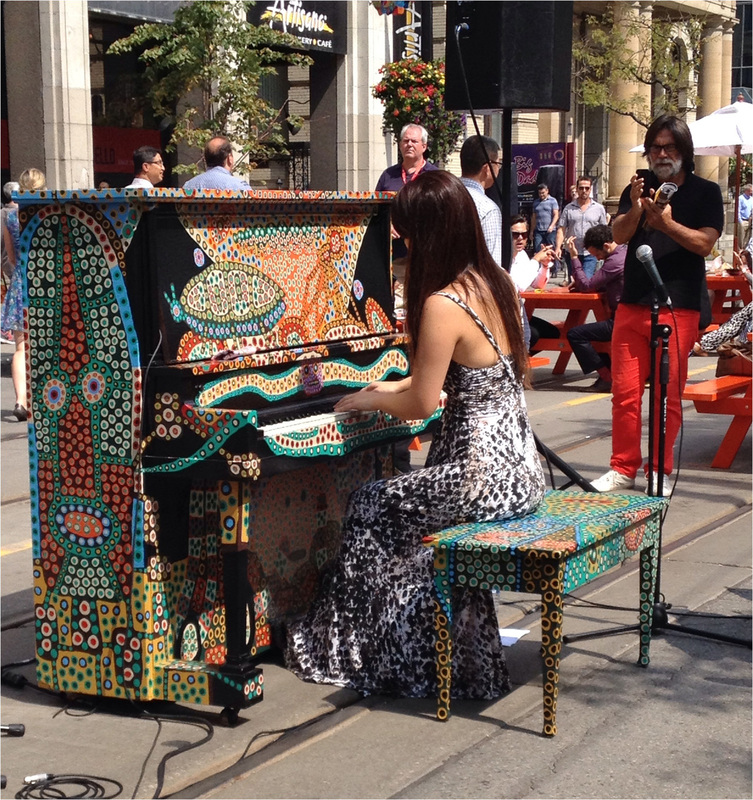 Totally cool piano!! I’ve always wanted to go to TIFF but have never gotten around to planning it. One day…. Your so close Cindy you should drive in for the day. This is the first year that they’ve closed down 5 blocks of King St and I think it was a great success. I was back there last night and the crowds were lined up for the opening of the new Ben Stiller and Naomi Watts film. The energy was electric. I actually got a glimpse of Naomi Watts. I know, I really should. I just wish it was a little later because around this time I’m always dealing with moving my oldest son back to school and my youngest son’s birthday. I will be down on the 21st though for The Word on the Street, which is a book festival at Queen’s Park. I’ve always wanted to check it out, and this year I finally am :). It is a busy time for sure. Enjoy The Word on the Street. By the way, very cool that you got a glimpse of Naomi Watts :). We had so much fun at Toronto a few years back….thanks for the memories. It’s very cool isn’t it.